Nosa Eke stays busy at Mizzou. 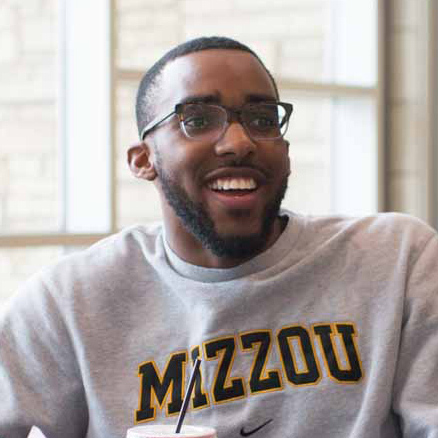 Beyond his studies in the College of Engineering, Nosa is active with his fraternity, the United Ambassadors Diversity Recruitment Team and the Gaines/Oldham Black Culture Center. 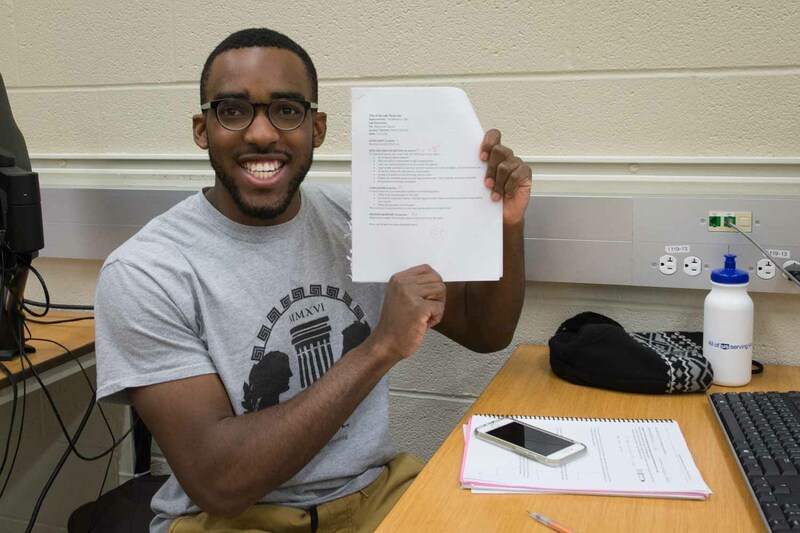 As a freshman, Nosa traveled to Greece for a study abroad intersession course in engineering. 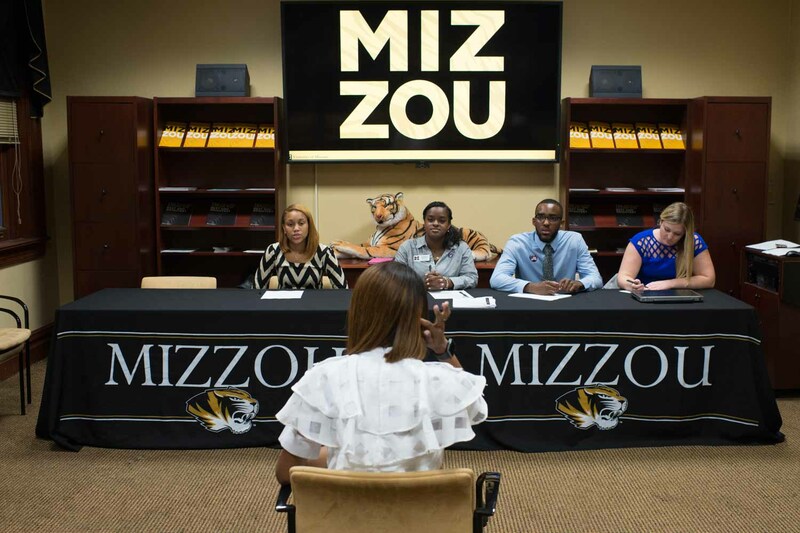 As one of three co-chairs for the MU United Ambassadors Diversity Recruitment Team, Nosa interviews applicants. Pictured from left to right: River Bonds, Brianna Walker, Nosa and Allison Pudlik. 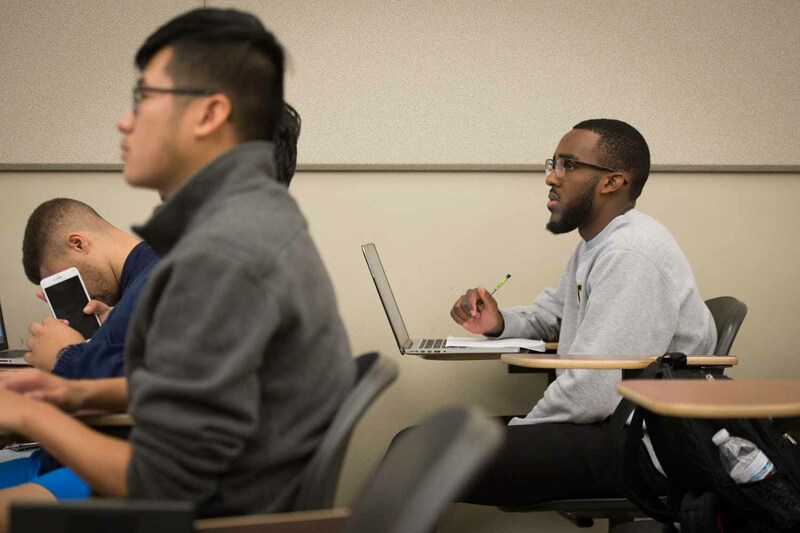 Nosa takes notes during intro to programming, a bioengineering class. 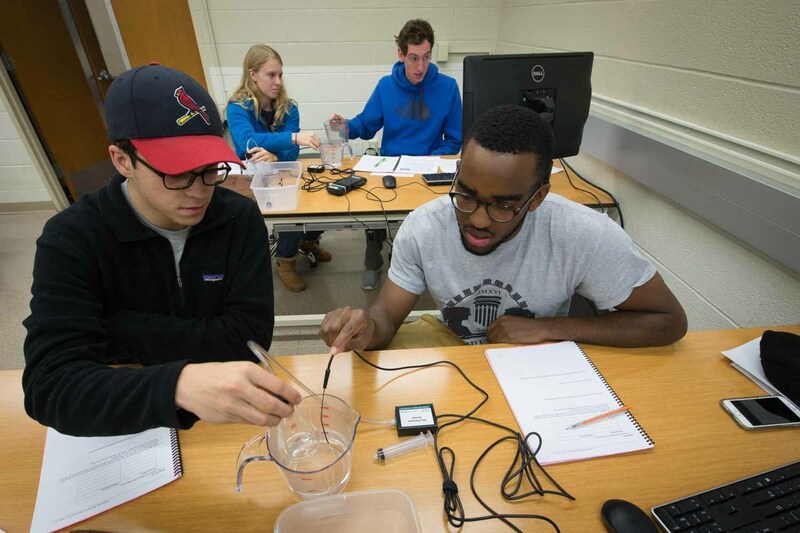 Nosa works with his lab partner, Alec Heaney, in the physics lab. 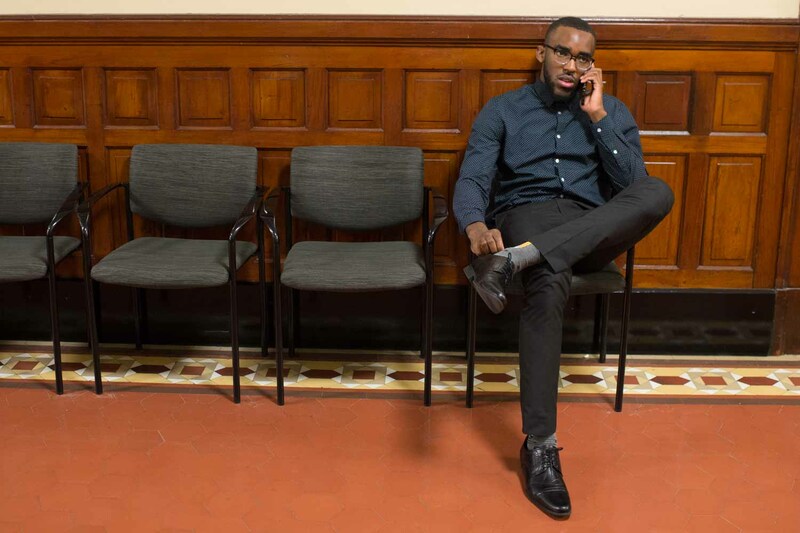 Nosa takes a call during an evening meeting at Jesse Hall. Success! A physics assignment earns Nosa high marks. Nosa enjoys a game with his friend, Catie Williams. 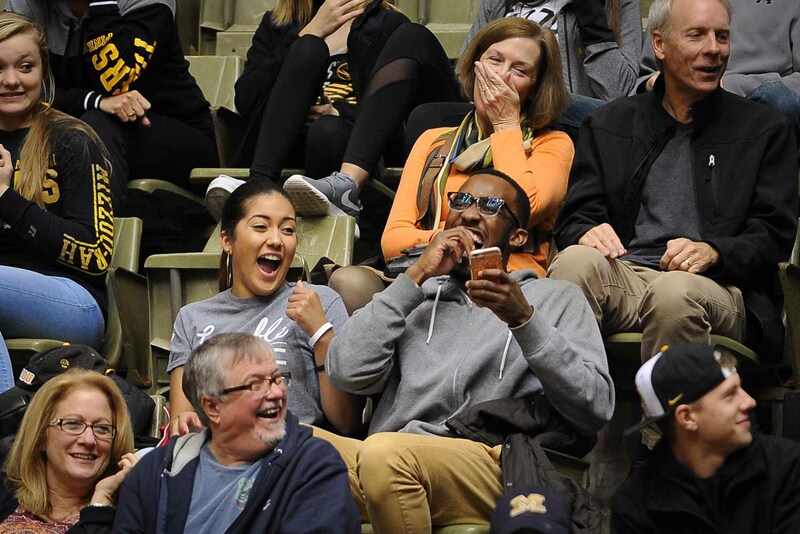 The Mizzou volleyball team won the SEC championship in 2016. 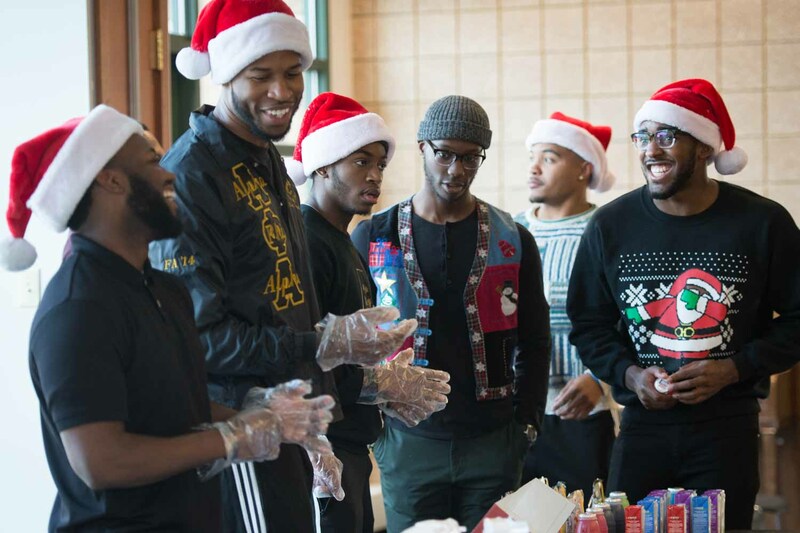 Nosa and his fraternity brothers attend a holiday charity event. From left to right: Sean Adams, Christopher Trunell, Malachi Goodman, Marquise White and Kris Maddox. 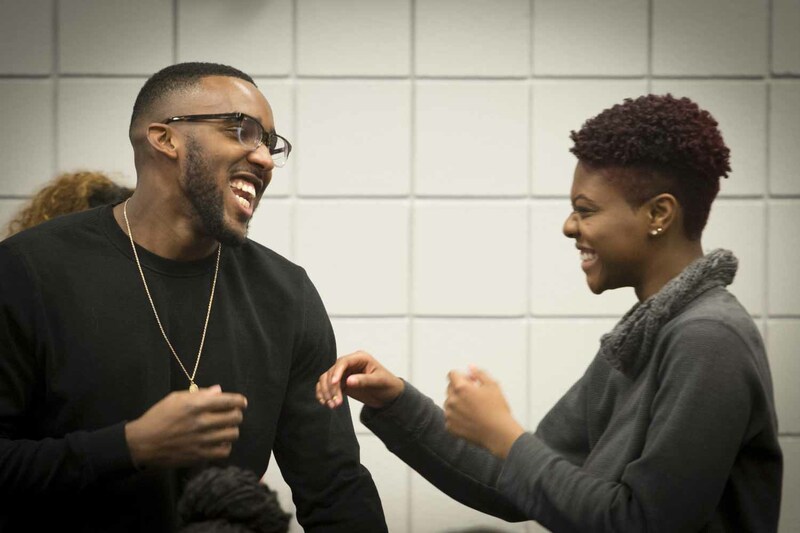 Nosa and Teanna Bass, also a Mizzou sophomore, share a laugh at a social gathering at the Gaines/Oldham Black Culture Center.